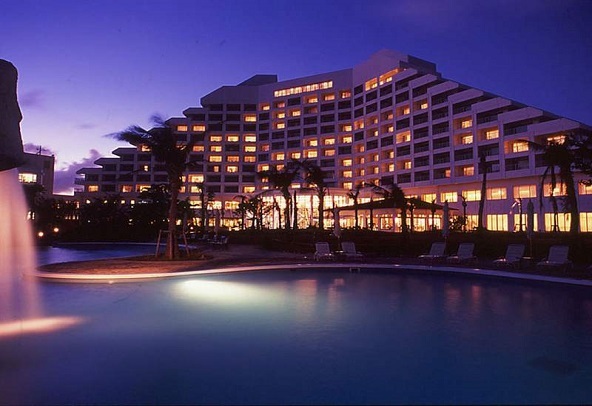 A multi-story, beachfront resort on the beautiful Ishigaki Island, ANA Intercontinental Ishigaki Resort is the gateway to the Yaeyama archipelago. 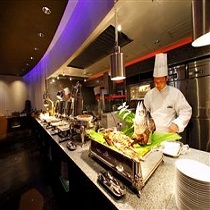 The resort offers absolute luxury on one of southeast Asia's best kept secrets. 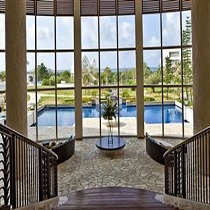 Rooms and suites of the resort are superbly-appointed, featuring spacious living areas and tasteful, contemporary décor. Maesato Beach provides squeaky-clean sand and sheltered swimming. From there, a walk of 50 yards brings guests back to the hotel to enjoy a cold drink by the pool. The island of Ishigaki is well worth exploring with exquisite, Caribbean-style beaches, a tropical climate, and warm, friendly people always eager to welcome strangers to their beautiful corner of Japan. 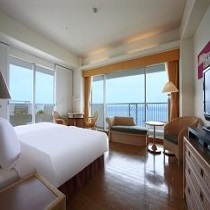 Please enter your dates on our secure online booking form to make a reservation at ANA Intercontinental Ishigaki Resort.